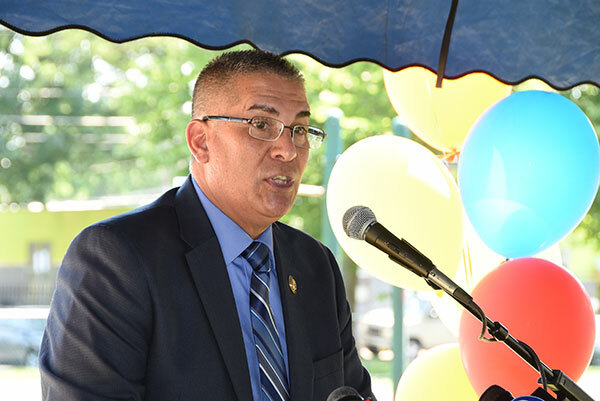 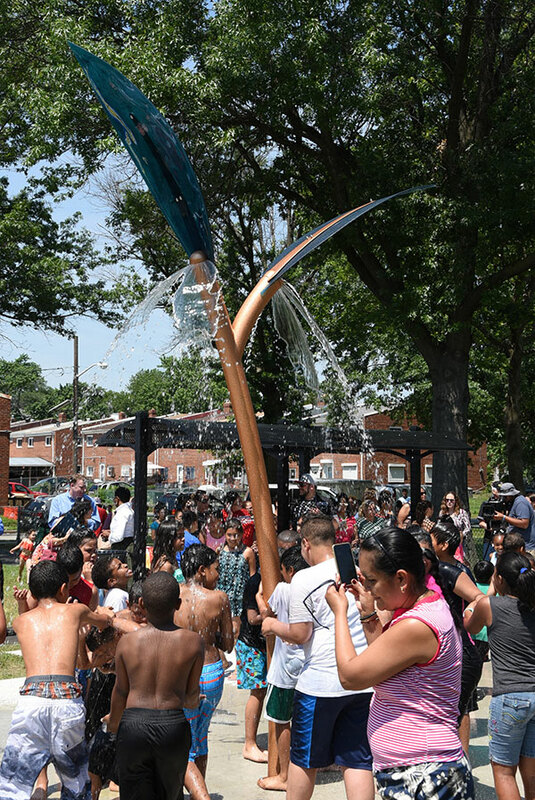 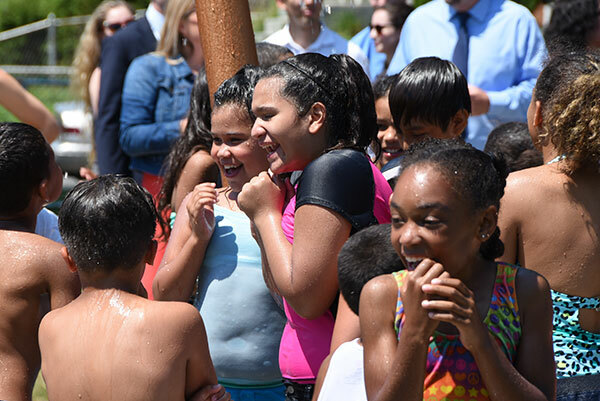 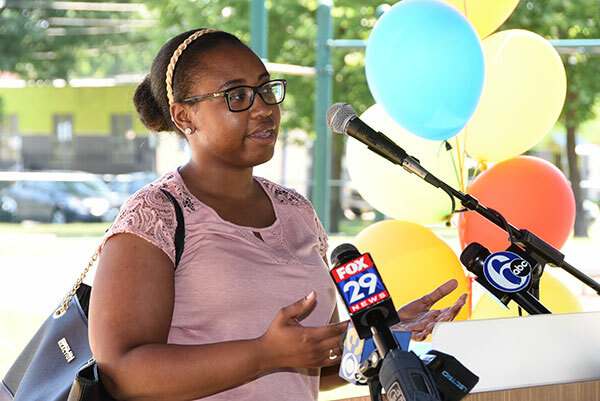 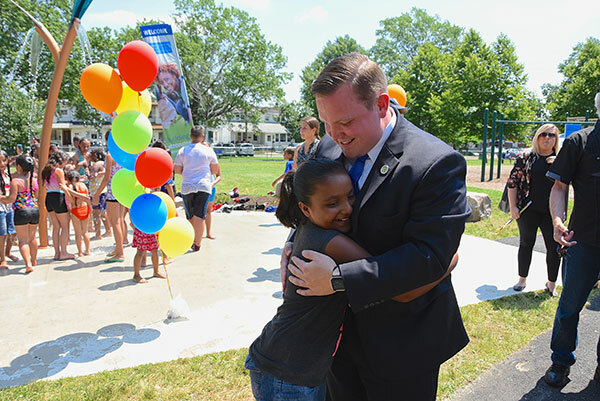 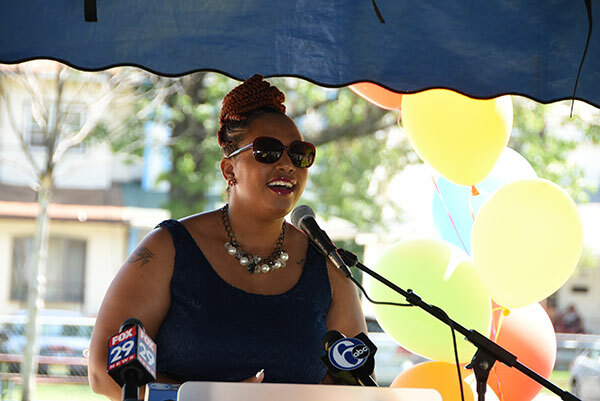 (Camden, NJ) – The Freeholder Board joined city and community representatives to celebrate the completion and opening of a new sprayground in Von Nieda Park. 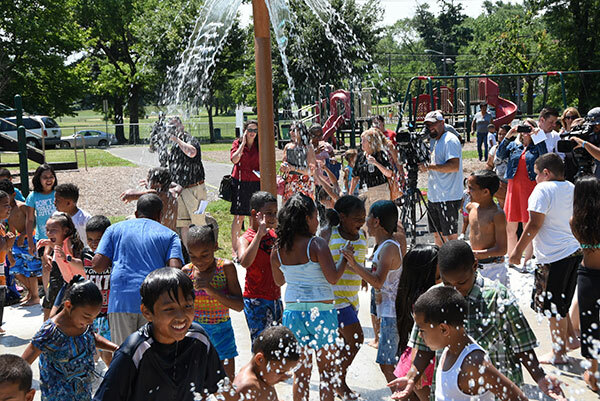 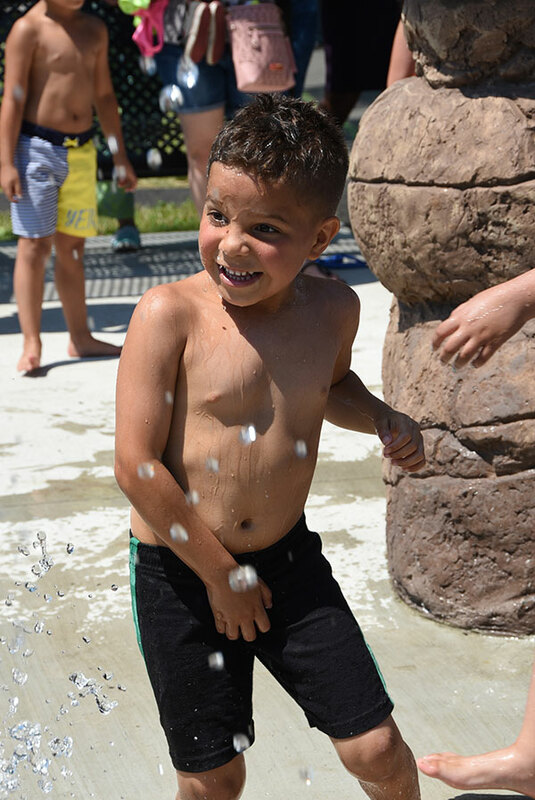 The new water-filled space features numerous showers and spray jets that children can run through and play with. 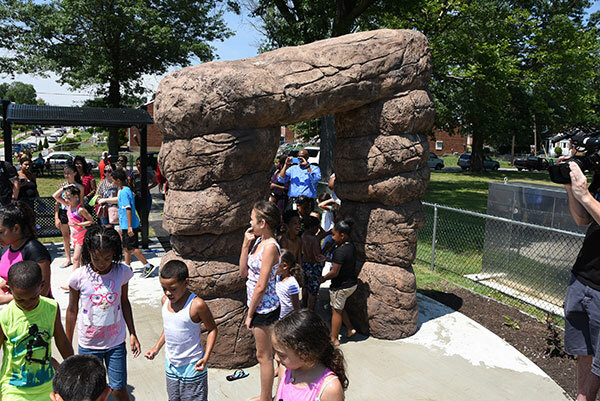 The park also features a new rain garden that captures, infiltrates and treats the sprayground’s water, along with educational signage. 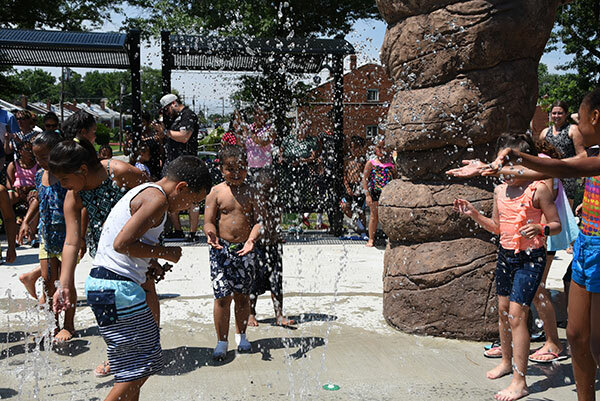 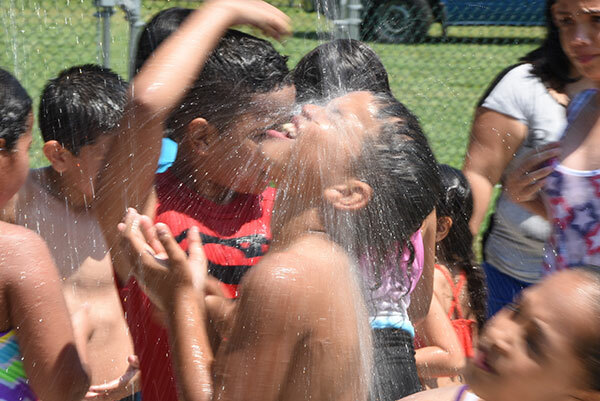 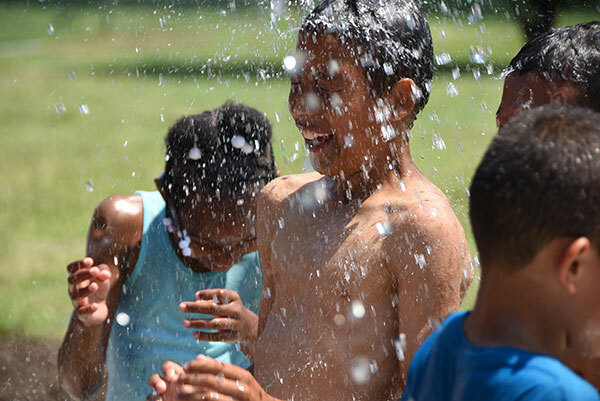 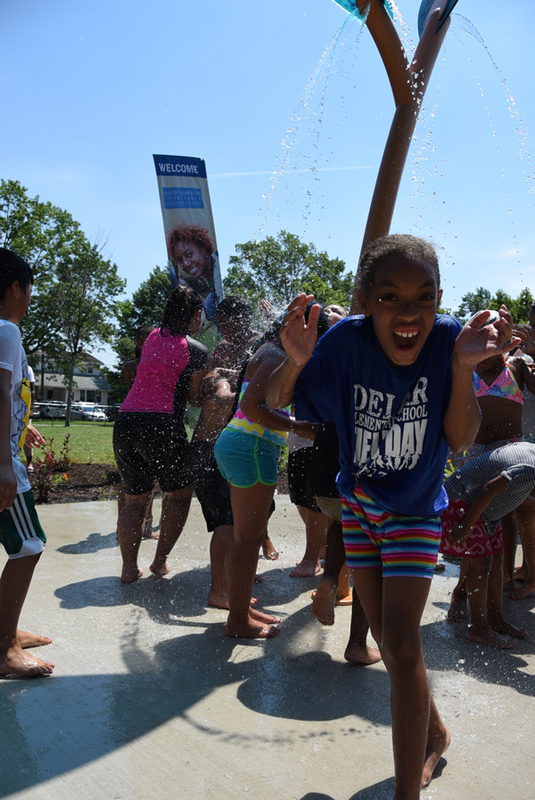 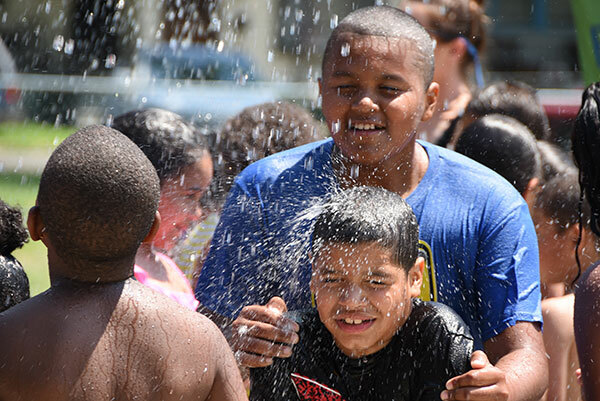 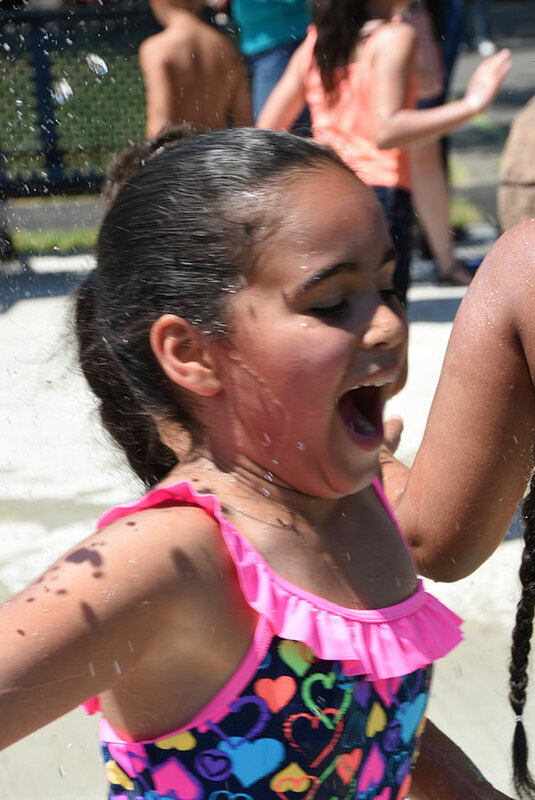 This is the first sprayground in the Camden County Park System, and was made possible through a $125,000 grant from the American Water Charitable Foundation’s Building Better Communities signature grant program, administered by the National Recreation and Park Association (NRPA). 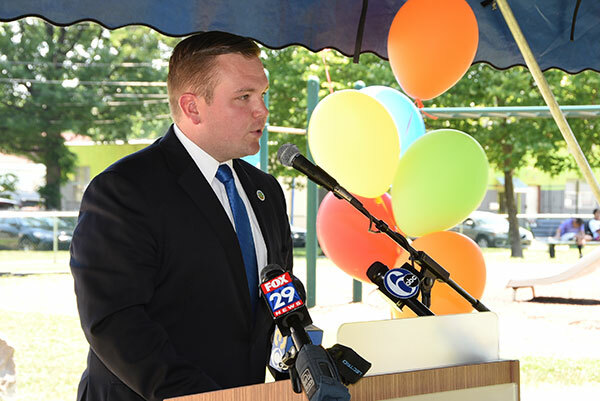 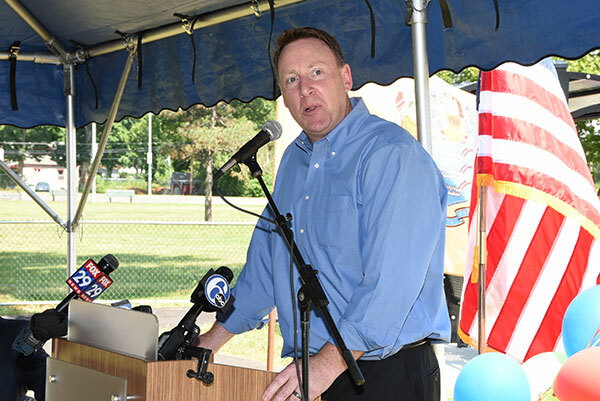 The project received additional support from the Cramer Hill Community Development Corporation and the New Jersey Department of Environmental Protection’s Green Acres Program. 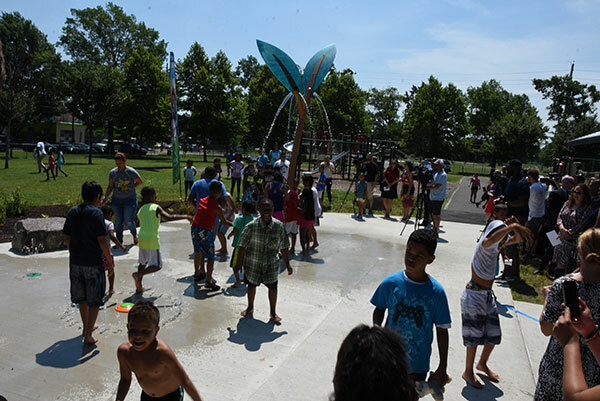 This is the latest enhancement the Freeholder Board has brought to Von Nieda Park. 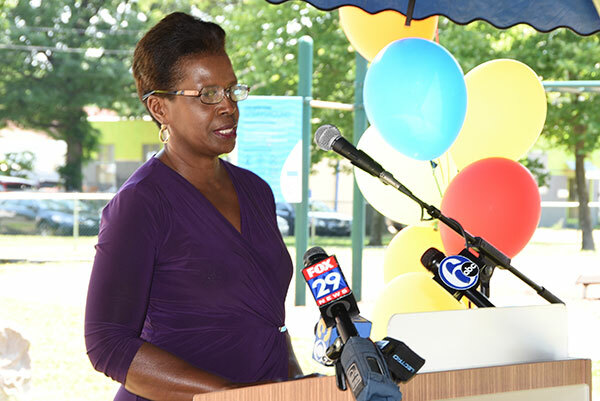 In June of 2014, the county completed a lighting project at the park. In October of 2015, the Freeholders and Camden Stormwater Management and Remediation Team completed a major stormwater management project to mitigate flooding in the park. 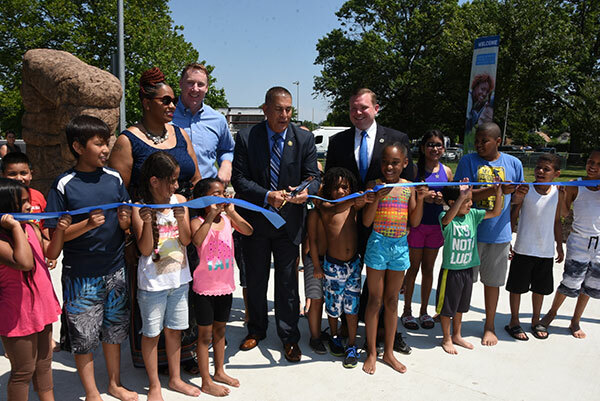 The stormwater management project also included the Baldwin’s Run Daylighting Project, which restored 16,718 square feet of the historic Baldwin’s Run tributary to help channel stormwater from Von Nieda Park out to the back channel of the Delaware River. 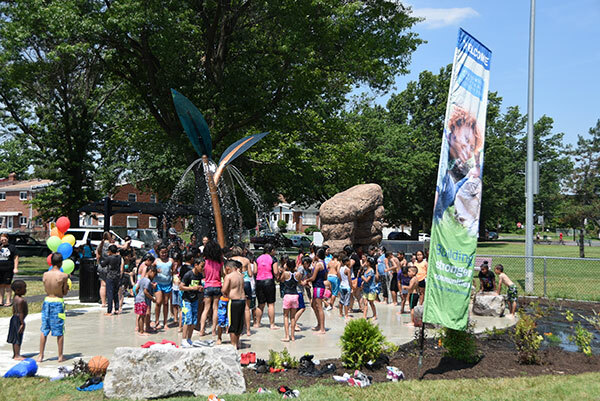 Von Nieda Park is part of the Camden County Park System. 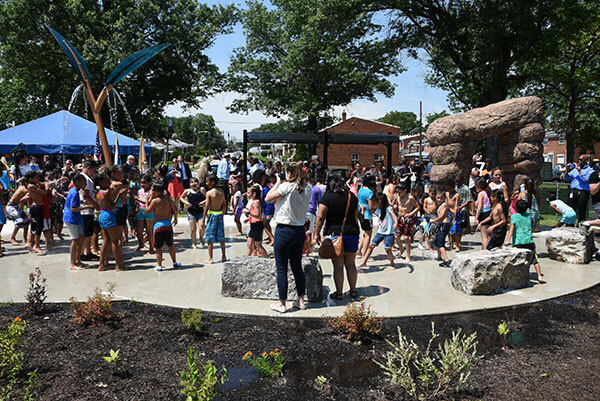 It contains baseball and softball fields, lighted basketball courts, a playground and a .33 mile bike path in Camden City.